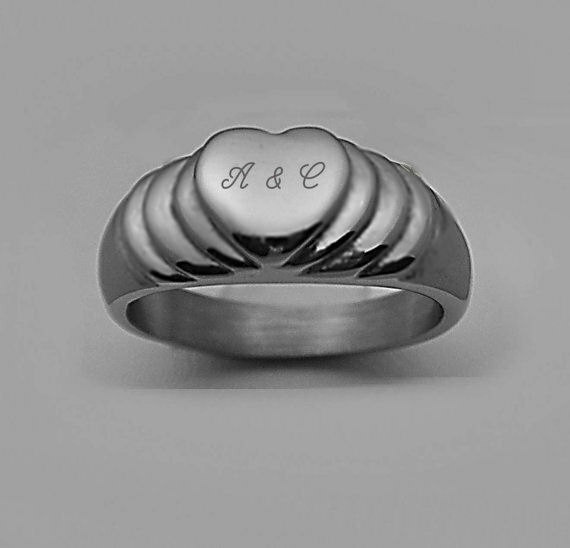 These stainless steel rings and bands are a wonderful gift for your loved one. Our beautiful heart ring can be engraved on the top with 3 initials. Just choose a size, and enter your text.